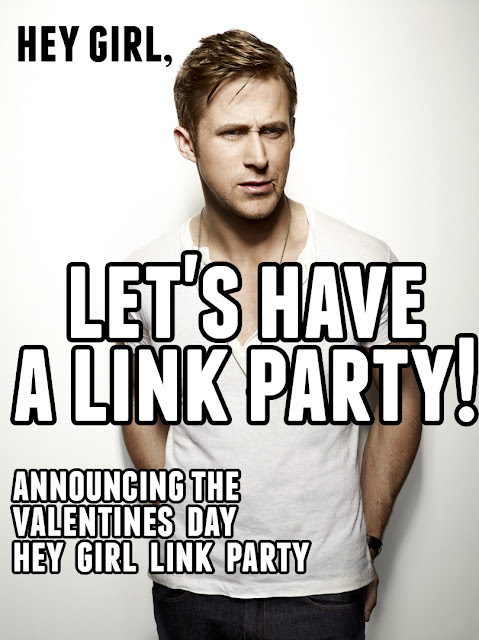 A few of my hilarious blog buddies are hosting the BEST link party ever this week.....it's a Hey Girl Linky Party!! And after rolling on the floor with laughter all morning, I had to create a few of my own. I really couldn't help myself. It spoke straight to my funny bone. I've been with my husband for 10 years (married 3) and he is the sweetest, kindest, funniest, most tolerant and patient man I have ever met. 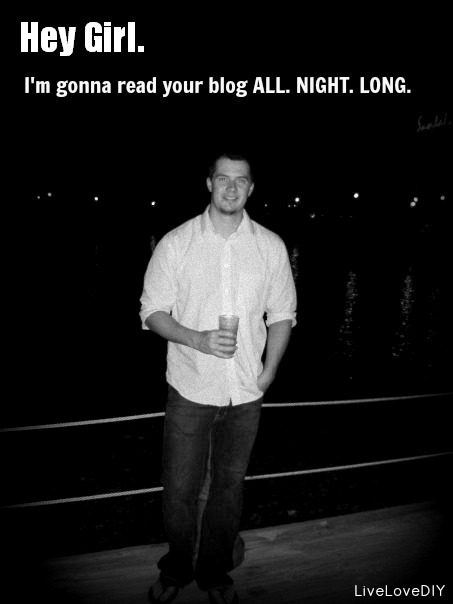 Oh, and he's hunky, too. He never bats an eye when I rearrange our house 500 times, spray paint the yard (seen here in this ridiculous post), or make him watch the E! channel. He's truly the best. So....what better way to thank him than to make him cringe display his awesomeness. Head over to Kelly at View Along the Way, Michelle at Decor and the Dog, Chelsea at Two Twenty One, Bliss at Bliss Ranch and Ashley at Domestic Imperfection to link up your own Hey Girl posts! 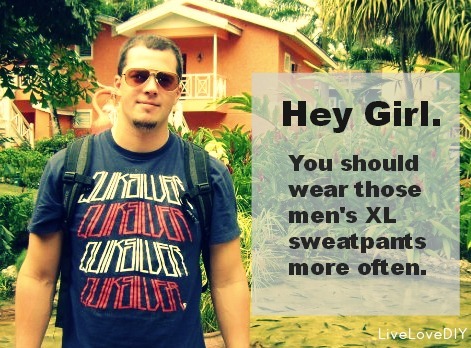 XL sweatpants......bahahahahahaha! love that! This is so fun....Makes me want to play! 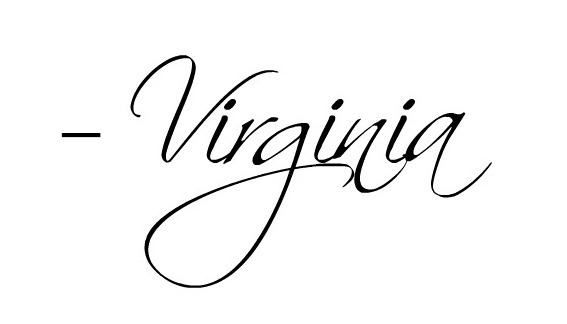 LOVE love love!!! Lattes and thrift store - ha ha! 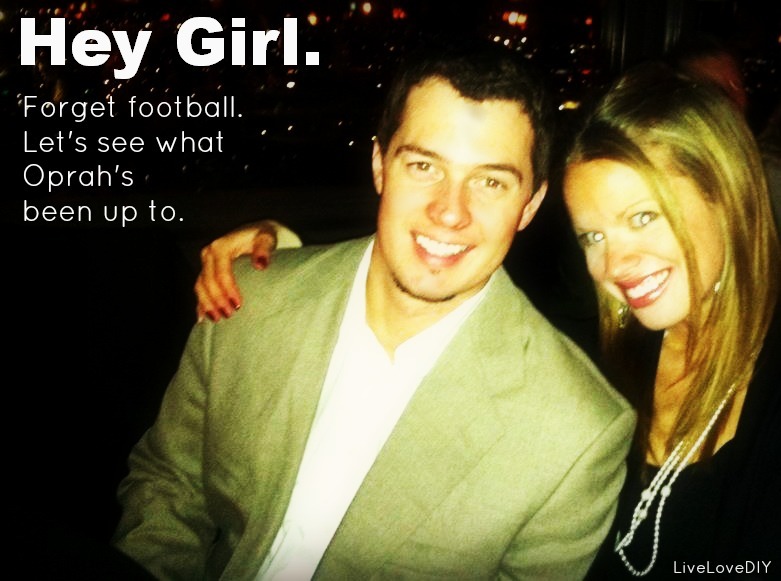 He is hunky, and you're pretty darn funny! OMG hahahaha the sweat pants are cracking me up! Wearing 'em right NOW, sista!!!!!!!!!!!!!!!! Lol!! Sweatpants and thrift store shopping? Buy that man a new boat!!! Oh man. I really should have done one about a spray painted yard. They keep coming to me now. AAAAAhahahahahaha! ALL. NIGHT. LONG. Killed me! 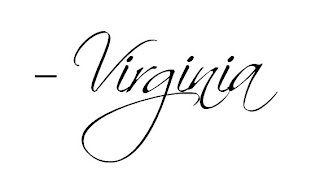 Hey, Virginia! You have a very cute husband! 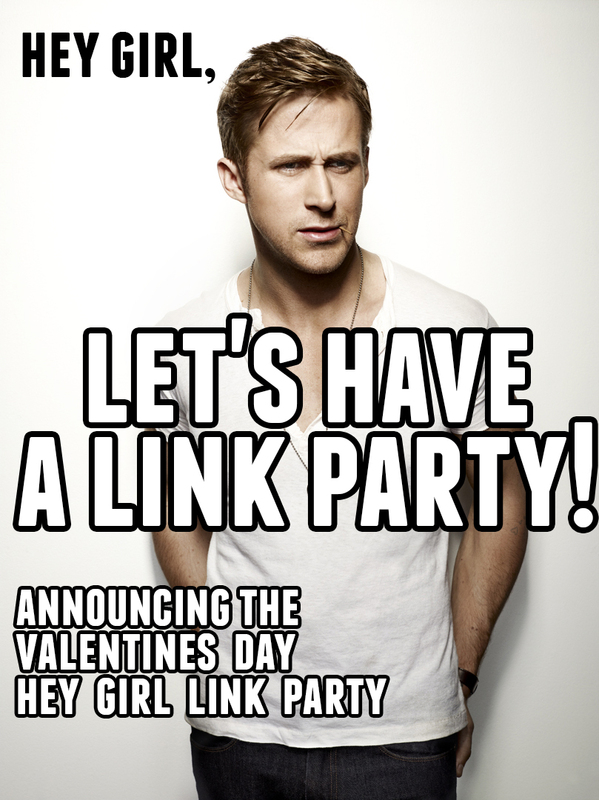 Thanks for sharing him with us (and things he may or may not have said) at the "Hey, Girl" party. YAAAAY! I have been looking forward to your memes ALL day and they DID NOT DISAPPOINT. The nonfat lattes had me cracking up, and the last one? The "ALL NIGHT LONG?" -- it was too much. TOO MUCH. lol! Thanks Nancy! You too! This just made me laugh in a good way! Wanna know something? My hubby of 35 years actually does like going to the thrift store with me. Why? Because he too finds all kinds of stuff he likes....like a $30 table saw for example! 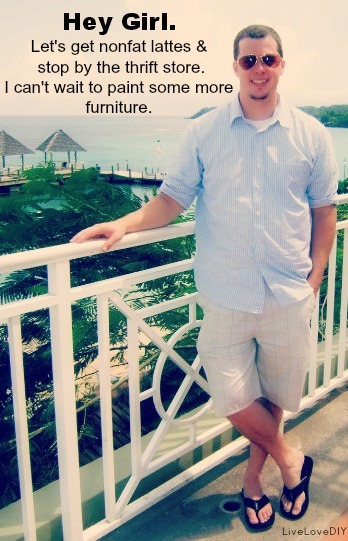 "Thrifting: It's not just for women anymore!" Haha! Yesss, Oprah and XL sweatpants. Loved these!